Family and friends remember Ginger Carter for being a fun, loving person. Ginger, 39, was found dead Sunday morning at her place of employment, Center Cuts & More, 19 S. Center St., Ste. 6. The circumstances of her death are still under investigation. “Thank you to everyone who has sent our family kind words, thoughts and prayers for the loss of Ginger,” Brandy McOmber, her sister said in a family statement. “She was a beautiful person inside and out and had a way of making everyone feel welcome. She brightened up our lives just by walking into the room. The impact she had is evident in the number of friends she has and the kind words they’ve offered us. The page reads: “As her family, we are all so filled with grief and heartbroken over the unexpected loss of this beautiful soul. Ginger has always been so giving and loving, even when she had very little. Now is the time to help her. Her kids were her whole world. And she wanted to give the world to them. Since she can’t do so, let’s raise some money to help with the funeral and with their futures. Ginger had four children, ages 6 years old to 18 years old. 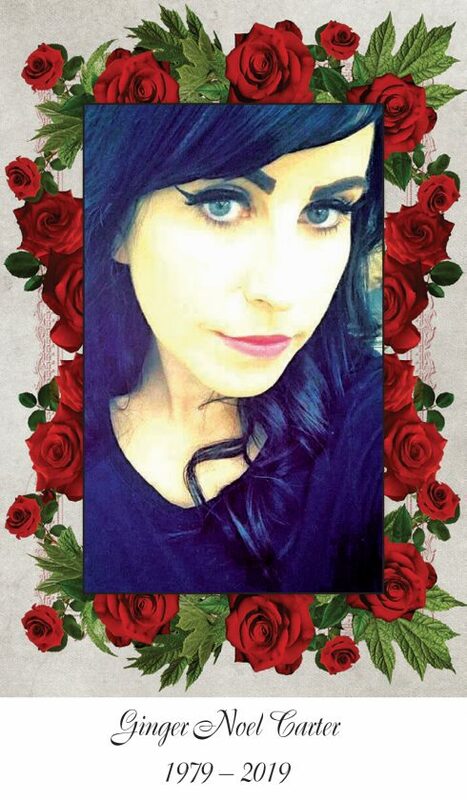 “She was an amazing person, loved to have fun, loved kids and was an excellent hair stylist. She always knew how to make people around her smile,” friend Jamie Miller said. Many tributes have flooded in on social media. “I love you Ginger Noel Carter. I will never forget all the fun times we had growing up together. Until we get rowdy again,” Heather VanDeburgh wrote. Friend Andrea Thompson remembered Ginger as an adventurous person. “Ginger lived a life that many would never have dared to live. That girl had fire. No words even make sense, just prayers for her, family and friends. In disbelief,” she wrote. Ginger was a hair stylist and has family in town. “Ginger Noel you will always have a special place in my heart. We shared so many good times together. You helped me get my first apartment, watched Brady for me, were my shoulder to cry on countless times and the voice and hands that helped heal my broken heart. You were the older sister I never had. I will never forget you and all the great memories and sisterly advice you gave me. Love you always Gingy,” Kyleigh McCombs wrote.